1) (Reg. Ped. Ulster’s Office). Erm. a bend counter compony ar. and sa. 2) (Spinfield, co. Bucks). Ar. a chev. betw. three crescents gu. Crest—An elephant’s head erased trunk elevated ppr. Motto—Virtute et valore. 3) (Accarsane, Capetown, Cape of Good Hope, 1883). Az. a fess or, betw. three mascles in chief, and a crescent in base ar. Crest—A dexter hand ppr. holding a crescent ar. Motto—Teneo et credo. 4) (of Shanroe) Or, a chevron gules between three crescents proper. Crest: An elephant proper. The Northern Irish and Scottish last name Carson has several origin theories. First, it may be a baptismal surname meaning “the son of Car”, with Car being a personal (first) name, although the historical record is scare in support of this origin. Along this line of thought, it could mean the son of Carr or Kerr, and hence is Scottish in origin. Second, it might be a spelling corruption for Garson, Garcon, Gasson, which was a name borne by servants, as the letters C and G were nearly interchangeable during the thirteenth to fifteenth centuries. Third, it might be a variant of Curzon, an English name of Norman origin, a habitational/locational name for a person from Nortre Dame de Courson in Calvados, France, a town which derives its name from the given name Curtis (curtus meaning short). Another author notes the word curson means “the stock of a vine”. Fourth, it might be a baptismal surname meaning “the son of Charles”, a theory asserted by Mark Antony Lower in his book Patronymica Brittanica. Fifth, another source believes the name might be derived from a bailiff of the Isle of Man named Maurice (or Morris) Acarson, who was appointed by King Alexander I of Scotland in around 1100 AD, and the family held lands and titles at Accarsane. The family was used by the Strathyclde-Britson people living near the English and Scottish border, and were first found in Dumfriesshire (modern day Galloway and Dumfriea) and are believed to descend from the Irish Clan MacCarrghama. In the early 1600s, King James I of Great Britain started the Ulster plantation in order to settle the rebellious Irish province with loyal Protestant settlers, and many Carsons from Scotland went to Northern Ireland and settled in counties Tyrone, Antrim, and Derry. George Fraser Black’s, The Surnames of Scotland, published in 1946, states the following in regard to the surname Carson: “An ancient family in Galloway which ended in the direct line in the reign of James IV. Corsans were provosts of Dumfries for several generations and were also prominent in local affairs of Kirkcudbrightshire. No value need be attached to the tradition of descent from an Italian named Corsini reputed to have been brought to Scotland by Dervorgilla to superintend the building of Sweetheart Abbey. Everything points to native origin. Maurice Acarson, bailiff of Isle of Man, appointed by King Alexander, is the same person as Mauritius Okarefair. Sir Robert de Acarson or de Carsan, a cleric witnessed a charter to Holm Cultram c. 1276 and may be Robert de Carsan, parson of moiety of the church of Kircandres, Dumfriesshire, who rendered homage, 1296. Laughlan, son of Laughlan de Carsan and Dovenald, son of Thomas de Carsan were among some Galloway hostages lodged in Carlisle Bain, II,. In 1305 John Acarson and others took the castle of Dumfries from its garrison. Morice Acrassane and Gilbert were jurors on an inquisition at Drumfrese, 1367, and Thomas Acarsane was ‘minstrall regis,’ 1377. Thomas a Carsan, deputy to the custumar of Linlithgow, 1373, had charter of a tenement in Lynlithcu from Robert II, 1374. Donald Akersan petitioned the Pope in 1394 for a benefice in the gift of the abbot and convent of Holyrood, Michael Acarsan, canon of St. Rynyon, had a safe conduct to travel in England, 1445, and Patrick Corsen witnessed a notarial instrument in Dumfries, 1453. Andro Akersane had a respite for his part in ‘the birnyn of the hous and place of Dunskay,’ 1503, and Egidia Akersane was wife of Andrew Fullarton of Carntoun, 1531. Adam Corsan, merchant burgess of Dumfries, is mentioned in 1665. 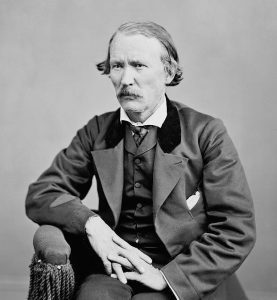 Kit Carson, the Indian scout, may have been of Scots origin. Joseph Carson, early shipping merchant of Philadelphia, and an earnest supporter of the American Revolution, was born in Scotland. A Kersane 1414, Carsen 1662, Carssane 1645, Kersane 1476.
one, Carrson, Carsan, and Carison. Early spellings were Acrassane, Acarsane, Akersan, Kersane, and Carssane. The last name Carson ranks 537th in popularity in terms in the United Status as of the 2000 Census. The name ranks particularly high in the following nine states: Pennsylvania, Georgia, South Carolina, Mississippi, Oregon, Kansas, Iowa, Idaho, and Alaska. The surname Carson frequency/commonness ranks as follows in the British Isles: England (1,048th), Scotland (448th), Wales (1,163rd), Ireland (1,357th) and Northern Ireland (73rd). In England, it ranks highest in Cumberland. In Scotland, it ranks highest in Kirkcudbright. In Wales, it ranks highest in Merionethshire. In Ireland, it ranks highest in Monaghan. In Northern Ireland, the surname Carson ranks highest in Fermanagh. The name is also present throughout the remainder English speaking world: Canada (577th), New Zealand (399th), Australia (743rd), and South Africa (4,702nd). After Morris/Maurice, the earliest known bearer of this surname was Sir Robert de Carsna, who was listed in the Records of Holm Cultram in 1276 AD. The Poll Tax of Yorkshire in 1379 AD lists one bearer of this last name: Alicia Careson. The famous genealogist Bernard Burke’s book “The Landed Gentry” discusses one branch of this family: Carson of Shanroe. Burke traces the Carson genealogy back to a family that settled in county Monaghan during the reign of King Charles II of England (1660-1685). John Carson, Esquire of Shanroe in that county purchased the estate in 1667 from Thomas Coote of Cootehill. Thomas Carson, Esquire of Feymore in county Tyrone, was the granting party in two settlements of 1715. In 1706, he purchased the lands of Sillo in county Monaghan from Richard Robinson of Tullegoncy. He fought at the siege of Derry and he had two issue: Thomas and Reverend Joseph. The elder son Thomas was his heir. This Reverend Thomas Carson of Tyrone was Curate of Errigal Trough in 1713, and was later appointed Rector of Finner in Donegal. In 1724, he was granted lands in Ballyshannon by William Conolly. He married Catherine Robinson and had three issue with her: Reverend Thomas, Joseph, and Elizabeth. His son and heir was Reverend Thomas Carson of Ward House, county Donegal, who in 1762, married Mary, daughter of James Dawson. Late down the Carson pedigree was the Right Reverend Thomas Carson, Bishop of Kilmore, Elphin, and Ardagh, Rector of Cloon, was Vicar General of Kilmore in 1854. He was also Dean of Kilmore 1860, and he was consecrated Bishop of the Diocese in 1870. He was born in 1805 and in 1833 he married Eleanor Anne, daughter of Robert Burton, and he had eight daughters and four sons with her. The sons with Thomas William (his heir), Joseph John Henry (of Millmount in county Antrim who was Justice of the Peace, married Maria Alice Johnston), Reverend Robert Burton (married Elizabeth Fisher), and Revered Henry Walters (married Isabel Jane, daughter of Judge Martlet). His heir, Reverend Thomas William Carson of Shanroe county Monaghan, was born in 1834. He attended Trinity College in Dublin and succeeded his father in 1874. The family bore the following Carson Coat of Arms or Carson Family Crest: Or, a chevron gules between three crescents proper. Crest: An elephant proper. John Carson was born in Down, Ireland in 1520. 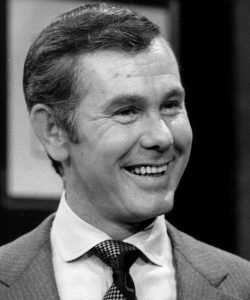 He married Elizabeth Nixon and had a son with her named Robert. Robert was born in Northern Ireland in 1540 and he married Mary Lee, with whom he had a son named Michael. This Michael was born in the same area in 1560 and he married Margaret O’Connor. They had a son named John. This John Carson was born in 1590 and he married Rose McGuire and they had a son named John. This John Aaron Carson was born in County Down, Ireland in 1609 and he married Nancy Weddle, with whom he had the following issue: Robert Alexander Sr., Edward Carson, Aaron, George William, Susan, James, Margaret, William, and John. His son Robert Alexander Carson Sr. was born in 1630 in Wilmarnock, Scotland, and he married twice: Susie Jean McDuff and Eleanor Jane McDuff. 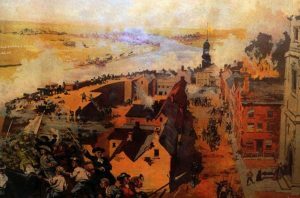 Prior to his death in Londonderry, he had the following children: Alexander Harvey, Robert Alexander, Susan Amanda, James Curtis, John Coates, Nathaniel Webster, Martha Lillian, Thomas Gibson, Fionia Marie, Frances Marilyn, Nancy Jane, Franklin Joseph, and John. His son Reverend Alexander Harvey Carson was born in Down, Ireland in 1650 and he married Margaret Jane McClinton and later Elizabeth Patterson. He had the following children: William, James Robert, Robert Andrew, Samuel, Susan Amanda, Thomas, John Linn, William, William Calvin, Alexander Harvey, Nancy Jane, Franklin Joseph, Alexander, Moses Carson, William, James, Alexander, Thomas, and Robert. His son John Linn Coates Carson was born in Tyrone, Ireland in 1680. He married three times: Eleanor Elizabeth Hebron, Sarah Elizabeth Dickey, and Agnes Maxwell. He went to Maryland and died in Lancaster, Pennsylvania and he had the following issue: Alexander, Andrew, Walter, John, Moses, Samuel, Robert, William, James, Alexander, Rachel (Kinton), and Moses. His son John was born in Ireland in 1710 and he married Ann Dixon in Virginia in 1742. He had the following issue: Susannah, Sarah, Thomas, Elizabeth (Patterson), Ezekiel, Isabella, John William, Mary, Ann, Susannah, and Sarah. His son John William Carson was born in Bedford, VA in 1748. He married four times: Mary Polly Lewis, Mandy Ryan, Sarah Gibson, and Elizabeth Lucy Wilson. He had the following children: Isreal, Lindsey, John, Robert, Mary, Samuel, David, Sarah Elizabeth, and James S. His son Robert Carson was born in Tennessee in 1774, and he married Jane Burgess, and they had three children: James Burgess, Thomas H., and Mary Elizabeth. His son James Burgess Carson was born in Tennessee in 1826 and he married Tennessee V. Campbell with whom he had four issue: John Wylie, William H., Elizabeth, and Nancy. His son John Wylie Carson was born in Williamson County, TN who was born in 1860. He married Margaret Armstrong Cathey, and prior to his 1919 death in Wayne Country, MI, he had the following issue: James, Robert Sr., Rebecca, Elizabeth, John Paul, Russell, George Washington, Lue, Brice, and Martin Luther. His son George Washington Carson was born in 1899. He married Gertrude May Roberson in Michigan in 1923 and he had numerous issue with her prior to his 1958 death, including Marvin, Charles, and Calvin. Early settlers in colonial America bearing this name include Charles Carson (Maryland 1676), David Carson (Virginia 1700), Elizabeth Carson (Charlestown 1767), Hugh Carson (Charlestown 1767), James Carson (Charlestown 1767), and Ann Carson (Philadelphia 1774). In Canada, one of the earliest settlers with this last name was Sergeant William Carson, born 1743, who was a United Empire Loyalist (a person who did not support the cause of independence during the American Revolution and remained loyal to the British crown) who settled in Price Edward County, Ontario around 1783. In Australia, one of the earliest bearers was William Carson, a convict from Nottingham, England who came to New South Wales (a penal colony) aboard the Albion in 1826. Some of the earliest bearers in New Zealand bearing this surname were Charles, Elizabeth, John, James, and Jane Carson who came to the city of Auckland in 1842 aboard the Jane Gifford. I researched the following three resources and did not find any coats of arms for Carson: Bolton’s American Armory, Matthew’s American Armoury and Bluebook, and Crozier’s General Armory. We have three coats of arms for the Carson surname depicted here. These three blazons are from Bernard Burke’s book The General Armory of England, Ireland, and Scotland, which was published in 1848. The bottom of this page contains the blazons, and in many instances contains some historical, geographical, and genealogical about where coat of arms was found and who bore it. There are hundreds of notable people with the Carson surname. This page will mention a handful. Famous people with this last name include: 1) Benjamin Solomon Carson Sr. (1951) is a American neurosurgeon born in Detroit who is the 17th United States Secretary of Housing and Urban Development and was a presidential candidate in 2016 for the Republican primary, 2) Andre D. Carson (1974) who is a member of the U.S. House of Representatives from Indiana, 3) John William “Johnny” Carson (1925-2005) who was an American talk show host and comedian who was for 30 years the hose of The Tonight Show Starring Johnny Carson, 4) Christopher Houston “Kit” Carsons (1809-1868) who was an American frontiersmen born in Richmond, Kentucky who was a US Army officer, wilderness guide, Indian agent, and mountain man, 5) Samuel Price Carson (1798-1838) who was a farmer and political leader in Texas and North Carolina who became a congressional representative for North Carolina, 6) Rachel Louise Carson (1907-1964) who was a marine biologist and conservationist whose book Silent Spring credited for advancing the global environment movement, 7) Finlay Hamilton Carson (1967) who was a Scottish Conservative Party politician who is a Member of the Scottish Parliament for Galloway, 8) “Fiddlin’” John Carson (1868-1949) who was an old-time fiddler and country musician from Fannin County, Virginia, 9) Julia May Carson (1938-2007) who was a U.S. House of Representatives from Indiana, and 10) Hugh Francis Carson (1926-2012) who was an Irish comedian and actor from Belfast, Northern Ireland. The main heraldic symbol in the Carson Coat of Arms (often erroneously referred to as the Carson Family Crest) is the crescent. The two main tinctures (colors) are Gules (red) and Or (yellow), which signify military strength/magnanimity and wisdom/glory/faith, respectively.